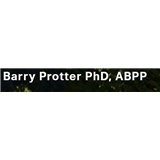 Protter, Barry (New York) - Book Appointment Online! I didn't feel like he listened to me at all. He would talk over me, not let me finish my sentences, and made me feel like I had to defend myself. Instead of understanding my work-related anxiety, he put the blame on me for being mistreated by my supervisor. That was really uncomfortable.